Palliative care, which aims to provide patients suffering from serious illnesses with meaningful relief from the symptoms and stress they are experiencing, is becoming a more prominent aspect of medical care today. Ultimately, palliative care is a holistic approach designed to improve the quality of life for both the patient and their loved ones. In this respect, it is quite well aligned with acupuncture’s holistic approach to treating illness, since acupuncture also aims to reduce stress and address symptoms in such a way that strengthens the body’s immune response and gives the patient renewed energy and vitality. It’s important to note that palliative care is distinct from hospice care, although the two methods of treatment are sometimes confused with one another. Palliative care focuses on relieving patients’ suffering during a serious illness whether they have received a terminal diagnosis or not. In fact, it can be administered alongside curative treatment that seeks to heal the illness and restore the patient to full health. 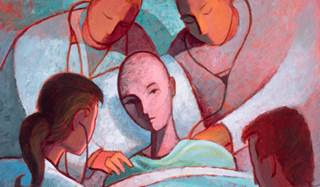 Hospice care, by contrast, tends solely to the needs of a patient who is at the end of life stage of their illness. Acupuncture can be a powerful treatment for a wide range of health concerns. Some patients come to me for help with everyday ailments brought on by our stressful modern lifestyle such as fatigue, headaches, and insomnia. Others consult me for expert care with serious issues like gastrointestinal disorders, back pain, and side effects of cancer and its treatment. 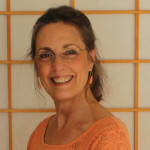 Often, people turn to acupuncture after countless visits to other doctors and practitioners. Whatever the reason behind their decision to seek acupuncture treatment, however, patients should understand beforehand how they can get the most out of it. If you come to acupuncture after trying to address your ailment with medicine and other forms of treatment, it will be unrealistic to expect acupuncture to fix your problem in one visit. Acupuncture, an ancient form of Traditional Chinese Medicine (TCM), takes a holistic approach to resolving illnesses in the body. As such, depending on the situation, it may require time in order to fully address the underlying issues that are impacting a patient’s health. Only in that way can acupuncture treatments be optimally effective and restore the patient to a state of balanced wellness. Castor oil is known as an effective hair and skin treatment, but it can also be used for a wide range of medicinal purposes. I first incorporated castor oil into my acupuncture practice when I was confronted with a young adult patient who was writhing in pain from kidney stones. I took a piece of flannel and folded it over several times, and then I saturated its center with enough oil to cover her belly from the diaphragm down to the top of her thighs. Directing the beam of the infrared lamp to her abdomen, I then proceeded with the acupuncture, choosing points to help her with pain while moving Qi and blood. Determining that the castor oil pack treatment would be most effective in softening the kidney stone if allowed to sit in place for at least an hour, I left my patient to rest and lie there with the heat on her belly. It worked amazingly well. Her doctor surmised that the stone might have moved back up into her kidney, but an ultrasound later revealed that the stone was no longer there. I’ve since used this treatment several times for kidney stone pain, with the same results. I will sometimes incorporate castor oil packs into treatment if the immune or lymphatic systems are compromised, or if the liver and gallbladder are deficient or distressed. 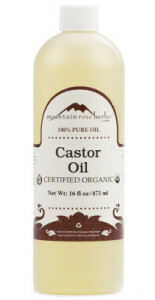 Castor oil was known throughout much of the ancient world, including India, China, Egypt, and Greece, as a therapeutic poultice. Edgar Cayce, who recommended the packs for a number of ailments, popularized the treatment once again in the 20th century. Valentine’s Day is fast approaching and it’s a perfect occasion to celebrate love in all its forms. If you’re half of a couple, you might decide to give each other flowers and chocolates on this day. You might also join in the time-honored tradition of writing a love letter to your beloved, expressing your deepest passion and admiration for them. But there are many other ways to honor that special someone in your life—or to show yourself some love! 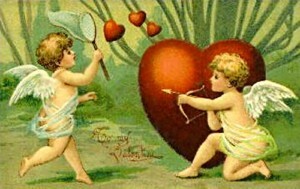 If you’re looking for a Valentine gift, acupuncture is a perfect choice. A lot of us are battling the February blues, waking up to what seems like endless blustery and dreary days. Some of us might even be struggling with winter colds that make us feel lethargic and unwell. As our immune systems are compromised and we feel under the weather, it may be harder to find the magic or the romance in the season. But it doesn’t have to be that way. We can reverse these winter doldrums by applying thoughtful and restorative care to the body and mind. Acupuncture provides a wonderful immune boost, which is much needed this time of year. Such protection can help remedy ailments from which you or your loved one may be suffering. It also engenders a sense of calm and tranquility that allows people to better notice and appreciate the positive, joyful things in their lives. Acupuncture treatment also creates a deep rest state, promotes circulation, stimulates connective tissue, and is very restorative overall. Treating yourself (or your loved one) in this way heals both body and spirit, resetting the body’s energy and one’s state of mind. This ancient form of care makes it easier for patients to let go of unnecessary stress and feel contented, opening the door to feelings of happiness and desire. It also loosens muscles, releases endorphins, and places the body in a state of relaxed bliss. Valentine’s Day is a great reminder that we need to pause the stress of our busy lives to intentionally show our sweethearts and ourselves some love and devotion. It’s even more essential to do so when we are feeling stressed or anxious, which is more likely to happen when the days are short and the weather feels unfriendly. With thoughtful attention to our well being, we can open the door to experience love in all of its beauty and grace. Suffering from Back Pain? Acupuncture Can Help. If you’ve ever thrown your back out, you know it’s a pretty frightening and acutely painful experience. 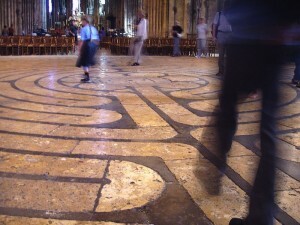 It can happen suddenly and without any warning, and when it does you may be unsure of what to do. Sharp, agonizing back pain can show up when you’re engaged in heavy lifting, like carrying boxes from one room to the next, but it can also hit when you’re doing something simple and routine, like bending over to pick up a pen. Not only does back pain hurt, but it can affect your range of motion and quality of life as well. So what should you do when your back goes out? 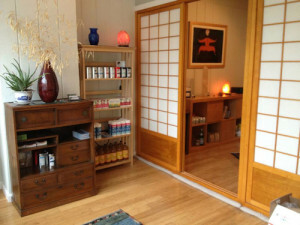 Get yourself to the acupuncturist. 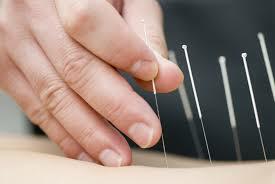 Specifically, get yourself to the acupuncturist who knows trigger point (dry needling) therapy. Nearly 8 out of 10 people will experience lower back pain at some point in their lives. In fact, back pain is one of the top conditions that lead patients to seek medical treatment, which can often offer no more than pain-killers and anti-inflammatory drugs. When it comes to diagnosing back pain, it’s important to note that there are several potential causes with different remedies to match. 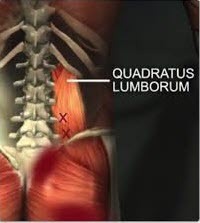 Back pain could arise from a muscle spasm or a disk injury, for example. Less commonly, an infection or a tumor might be to blame.